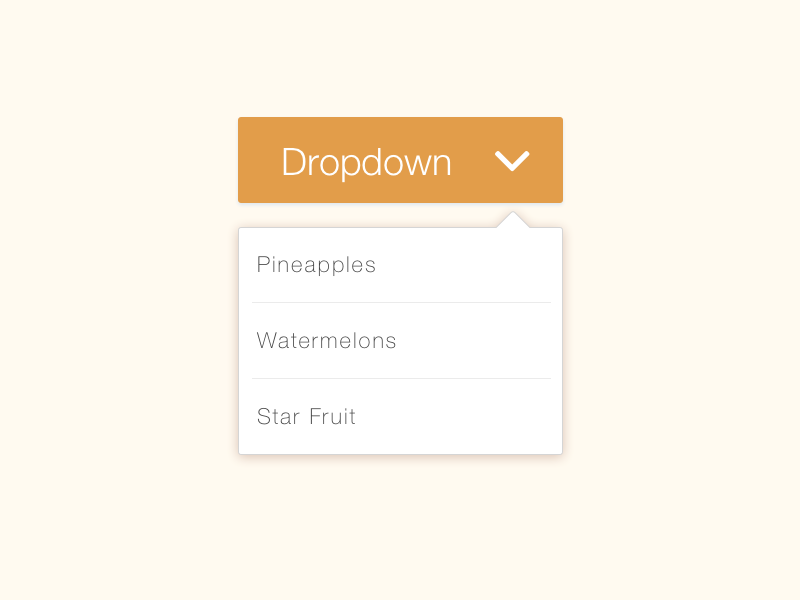 In the following images I've animated a button dropdown where the arrow animates to the downward position when displaying the dropdown menu. Wondering if there is any usability studies on this or if it's mere personal preference. IMHO I think that the arrow should point towards the content. So when the dropdown is active, it makes most sense for it to point down, when the content goes away, it points up, where the content came from. To the first point - visual connection: If you see an arrow that points up, you expect something to happen in that direction. You will automatically look up, not down. So every action that goes to a different direction will feel alien, detached. So this argument says: If arrow is pointing down, things should go down. The second point - standard implementation: If you take a look at mobile standards, you will find, that arrows that point left and right control a back-and-forth progress: The "back" button has a left pointing arrow and the right will point to the right. The reason for this is most likely PAGES in a book, where the next page is "after the current one", which requires an action on the right. The UP arrow usually represents a "return to top", or a collapse functionality, while the DOWN arrow - even by default html - implies actions that OPEN something that is hidden. What I try to say is: Making it differently will oppose common standards and rather confuse. Thus, I would always let the arrow point in the direction that the action will happen: If it drops down, point to the bottom. A button should show what will happen when it is next clicked - not point to something else. When the button above an open menu is clicked, the content will move up into the button - so the arrow should point up. Arrows pointing in our reading direction (right or down) point forwards. Buttons should indicate what happens when clicked. The arrow on a dropdown button should point right or down as it indicates new content will be visible once clicked. Once the dropdown has been opened, clicking the button again should close it. Therefore the arrow should point upwards or left. Since you're asking about the direction of the arrow, you might like to check out the Microsoft standards for glyphs and arrows. Chevrons point in the direction where the action will occur, to show the future state. Arrows point in the direction where the action will occur, to show the future state. Expand containers expand or collapse the container content in place when navigating through a hierarchy. They show the future action. Rotating triangles somewhat resemble rotating levers, so they point in the direction where the action has occurred—so they show the current state. You generally expect a button to show what action it will perform, not the current state of what it toggles. Consider the play/pause button of a media player. You press play-icon [ > ] and it changes to [ || ] to indicate the action performed when clicking again is now to pause. 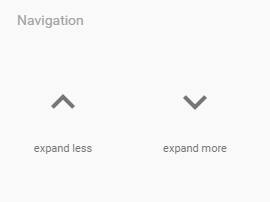 To drive this point home even further, I point to the Material Icons by Google. The name of two icons can give you an idea of what the overall consensus for this topic is. If you truly want to know look at the websites of large corporate companies. Many of them hire the best designers out there. While looking at these websites most of them have the arrow pointed downwards. In my opinion, the arrow should be pointed downwards. If the arrow points up and the user clicks or taps the given drop down, the arrow pointed up can cause a contradiction in the mind of the user. Moreover, a contradiction as such, may cause a slight distraction or even an irritation to the user. One could say that I am being a bit far fetched, but I personally don't think that it is worth a slight risk for just pointing an arrow upwards when its just as easy to eliminate the small risk by pointing the arrow downwards. Not the answer you're looking for? Browse other questions tagged interaction-design buttons user-expectation dropdown usability-study or ask your own question. What examples are there for grouping multiple site tools under one button or dropdown? 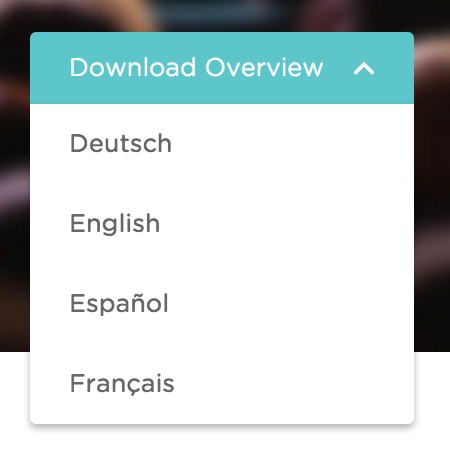 Should dropdown menus be indicated by arrows? 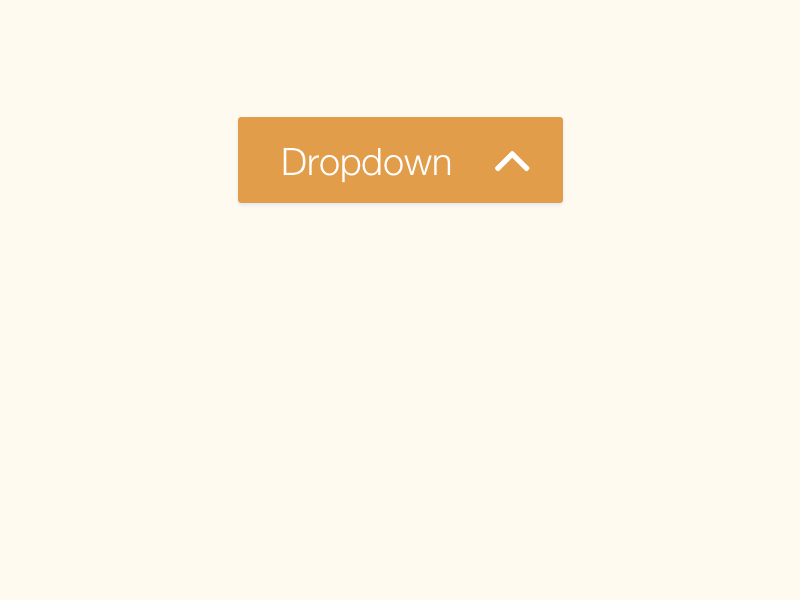 Mobile navigation - off-canvas or dropdown? Reordering content for mobile devices - distracting or helpful feature?